Maggi Hole is a graduating senior this May. At the end of spring term, she will have a degree in Political Science with a minor in Deaf Studies. In her time as a member of the Raider community, Hole’s drive to help better the lives of those around her is what has made her who she is today. However, her recent work with the deaf individuals and students with disabilities, has led her down a different path for helping others. She drew inspiration from her mother, which played a key role in her decision. “I grew up with a mom who worked closely with children with disabilities, so it was through her I grew an interest in studying American Sign Language,” said Hole. 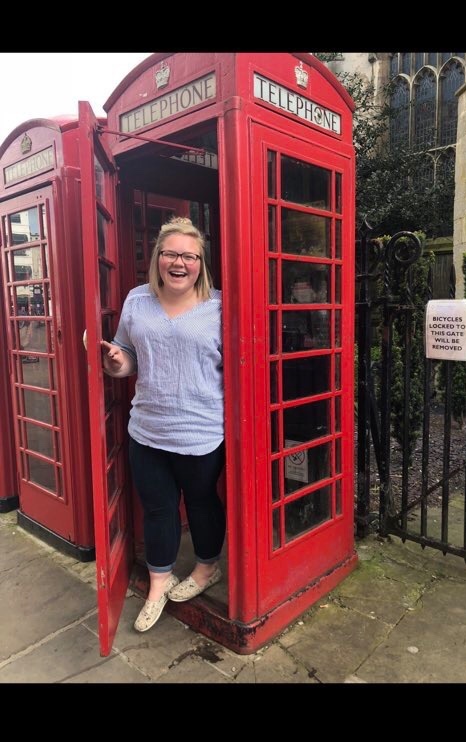 One of the most impactful experiences Hole has had while at Wright State was traveling abroad to England for 10 days in the summer of 2018. The study abroad focused on comparing notes between the disability accessibility of various public places in England and the United States. “It was an amazing experience. We worked closely with Anglia Ruskin University and it was interesting how our two countries have advanced as well as what we need to work on in being mindful of accessibility for those who have disabilities,” said Hole. Outside of school, Hole helps train service dogs for children with disabilities of the Xenia area nonprofit, 4 Paws Ability. So far, she has trained six dogs, with three of them placed in roles as service dogs; Hole continues to maintain that the human connection remains after the dogs go to a child in need. “Working for 4 Paws Ability has been incredibly rewarding. It is hard to finally give the dogs away but there is an incredible sense of satisfaction with knowing that a child with disabilities now has a fully trained dog that can help make their day-to-day life easier,” said Hole. After graduation, Hole intends to continue helping others in higher education and student conduct at the university level. Hole will be going to Kansas next year to Wichita State Univeristy for higher education and graduate assistaniship in the office of Student Involvement.